One Treatment, Two Actions. Lifting and Regenerating. Everyone wishes to maintain our firm and youthful look. However, as we get older, our bodies gradually produce less and less collagen, which leads to an 80% reduction in skin thickness by about age 70 resulting in sagging or droopy face over time. 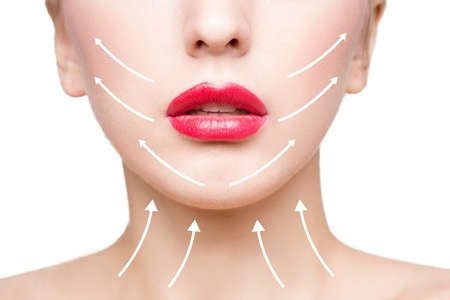 Surgical face lift is the most effective way to lift up the sagging skin yet most of us prefer non-surgical face lifting technique to maintain our youthfulness. THREAD LIFT is a minimally invasive procedure which firms and lifts up the skin and fast become a most sought after alternative to surgical face lift. A thread lift is a type of procedure wherein temporary suture materials are inserted under skin to create subtle but visible "lift" in the skin. The thread has the immediate effect of pulling the skin back slightly and therefore lifting and tightening the face. In addition to being ideal for lifting the skin, threads combat aging in another way by provoking the body to produce large surges of collagen naturally. As the results, patients will notice that the skin become stronger, voluminous and supple. When they repeat the treatment, they also experience ongoing and progressive improvement of their facial tissues. Quick treatment procedure with local anaesthesia. Short recovery time, can return to daily activities almost immediately. Virtually no risk of scarring, severe bruising, bleeding or other complications after having a thread lift. Easy procedure compared with surgery and therefore more affordable. Rejuvenation thread are made from a 100% biocompatible material called PDO. PDO has been used as suture material for over 50 years and is designed for safe re-absorption by the body. When the PDO thread is placed within the skin layer, it will remain between four to six months to stimulate new collagen formation as they slowly dissolve. Patients can, however, expect to keep seeing the results of their lift for a year or more after treatment. The skin turns glowing, smoother with refined pores, reduced find lines and wrinkles. This long-lasting effect arises from the lingering improvement in skin condition that results from collagen infusion. The PDO thread lift is very versatile, allowing practically all areas of the face and neck to be treated, including eye brow, under eyes, cheeks, lower face, laughing lines, around mouth areas, neck and double chin. Suspension thread is designed to focus on lifting the skin of the face or neck to produce immediate results. Over the next few months, collagen will also develop along the threat further enhancing skin quality and continue to lift the skin. Reposition sagging cheeks and reduce laughing lines. Lift drooping mid and lower face, droopy jowl and redefine jaw lines. Lift up neck and double chin. Most of the thread is made from fully re-absorbable material PLLA and PCA a very safe material used in Pharmaceutical. Silhouette Soft Lift from (US) and Happy Lift (Italy) are examples with over 150,000 treatments performed safely. The thread material will dissolve after 12 to 18 moths but the lifting effects from own collagen generation may last between 2 to 5 years. The procedure is performed under local anaesthesia, taking between 30 to 60 minutes to complete. The face or neck may swell slightly and patients can go home after treatment. It takes between 1 to 3 weeks to produce final results. Thread lift is recommended for men and women who are trying to combat sagging skin or loss of volume but don’t want heavy and invasive treatment. The result is natural with short recovery time.